My husband loves the combination of mint and chocolate. I remember the very first dessert he asked me to make him when we first got married was a grasshopper pie. I had never heard of that, but apparently it is a green mind pie with a chocolate crust and crumb coating. I thought it was so strange, but I made it and he devoured it. Since then, he is positively thrilled whenever I make something that has a similar chocolate and mint combination. 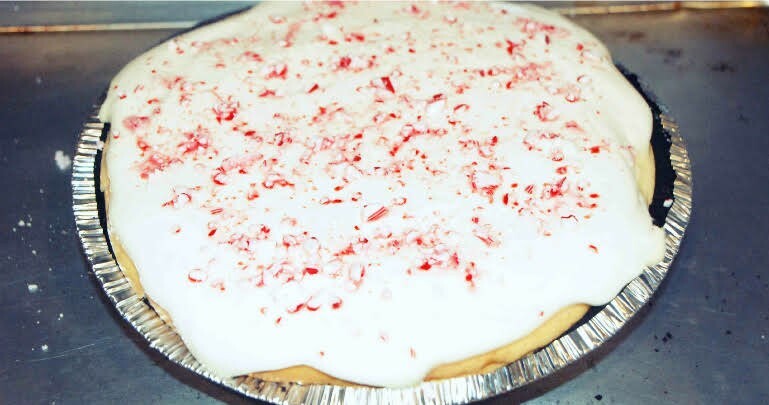 So, the other day as I was perusing Pinterest as I usually do on my free time (and sometimes even longer than that), I found an Oreo Peppermint Cheesecake Pie. I know, that sounds like a lot to swallow (it probably is! Haha), but I knew it would be a hit with my husband. This is an Oreo crust with a cheesecake filling, then topped with crushed peppermint. It is unbelievably easy to make, and even better, looks pretty impressive, too. I am all about finding those impressive, yet easy desserts because they make me look like a master chef, with minimum effort. Yes, please! Photo and recipe courtesy of Melanie Makes. Quick Tip: Top this with some fresh whipped cream before adding the peppermint. What Is Black And White And Eaten In A Jiffy? This Is!